We believe that translating your website should not involve coding skills. Newspaper lets you translate all the strings which are present on the front end of your website. In just a few seconds, every string is automatically translated in one of the dozen languages available. 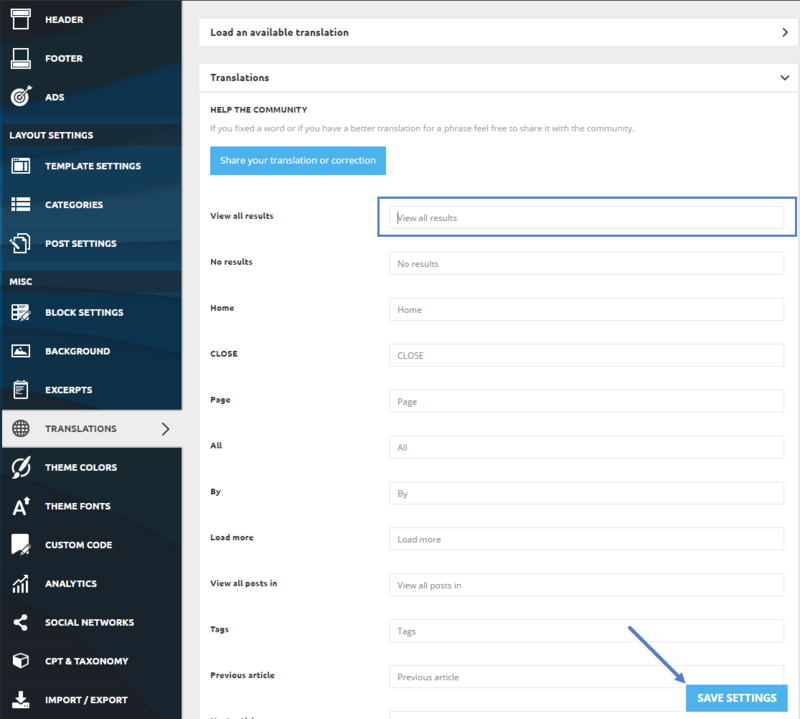 In case you don’t want to load one of the available translations you could use the translations section to create your own custom translation. Step 1 – Go to Newspaper > Theme Panel > Translations > Translations. Step 2 – Add the translation for each element or just for the desired elements. Step 3 – Click the Save Settings Button.